When it comes to choosing software, it’s easy to be overwhelmed. On the Woodweb.com site, for example, there are about 150 links under the “Software & Mobile Apps” heading. The problem is that only a handful will address a shop’s specific needs and it takes a lot of time to wade through all the choices to find the gems. 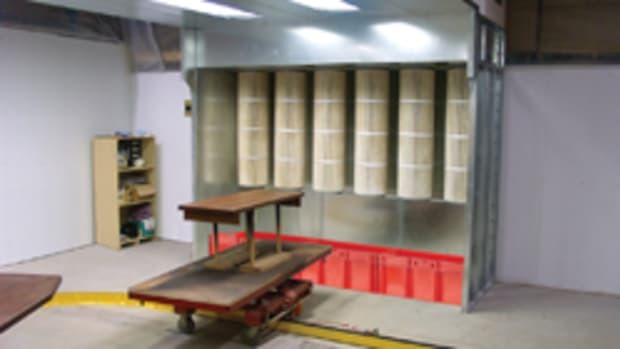 Let’s begin the search by defining some terms and then take a look at some of the more popular programs that woodshops are using. Technically, CNC software is just the actual program that controls the movement of the cutterhead. But the phrase has come to mean much more, encompassing an entire process that even includes design. Most CNC machines come with some version of CNC software already installed and this just allows the operator to program the machine. However, the router bit won’t know where to go if it doesn’t have some kind of map to follow. CAD (computer-aided design) software lets a woodshop create that. A CAD program, such as AutoCAD or TurboCAD, is used to actually draw the parts that need to be made. It does so by locating points such as the corners of a cabinet and connecting them with lines, curves and shapes. These paths are called strokes or, more commonly, vectors. (Vectoring is a type of graphic artwork that uses geometric formulae to represent images. These are more easily manipulated than raster/bit-mapped graphics, which are essentially a collection of dots.) The points that the vectors connect together are known as control points or nodes. So, now the shop has a map and it already had a machine that could travel. A third type of software called CAM connects the two. Computer-aided manufacturing (CAM) programs reduce drawings to a simple code (the most common is G-code), so that the machine can read them. It tells the machine how to cut, where to cut and how much to cut. 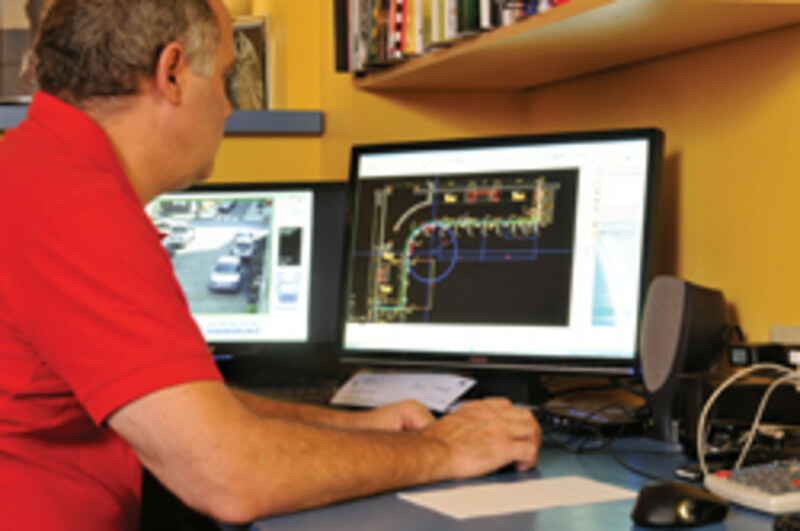 Many software solutions offered to the custom cabinet industry combine CAM and CAD. This simplifies the process for shops and it also helps to make the two elements work more fluidly together. 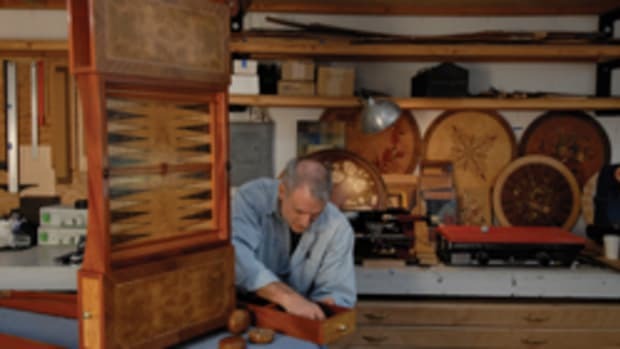 About 30 years ago, a Cape Cod cabinetmaker named John Murphy began using his home computer to create cut lists. From there, he started to draw basic elevations for his customers — simple isometrics initially, the kinds of things that designers once physically drew on paper. He soon realized that he could take things a little farther as computer technology developed. He began introducing perspective and, eventually, color and texture. 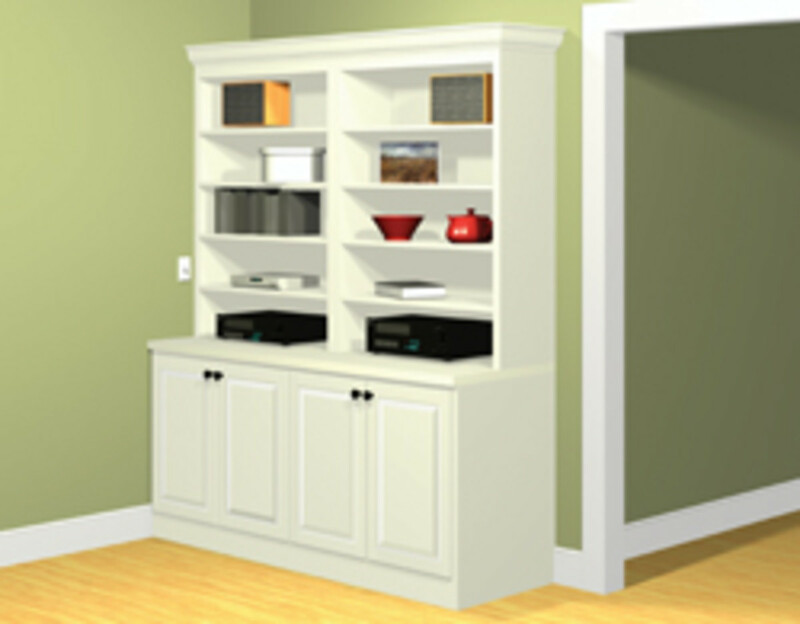 Today, KCD Software offers a suite of computer-based tools that allow designers to create custom cabinetry and closets in relatively easy-to-use programs. John Murphy is very typical of entrepreneurs in this field. One thing that the Apple and Microsoft empires quickly divested as they grew rich and powerful was accessible, personal customer service. Have you tried to pick up a phone and get free technical support for your new personal computer in the last few years? If you buy a car, you can call the showroom three days later and ask how the fuel cap opens. You might feel silly, but a real person in the service department will politely tell you where the hidden switch is. CAD/CAM pioneers such as John Murphy get that. 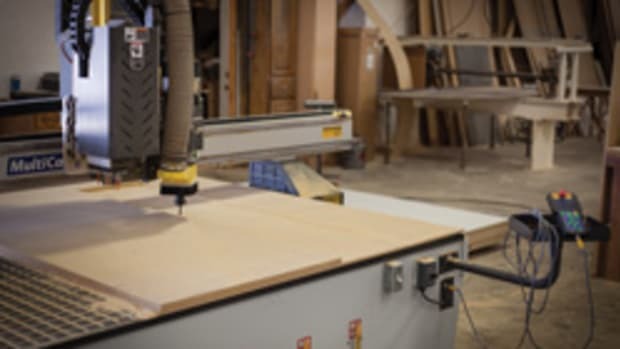 They understood early on that advice, assistance, training and real people on phones was just as important to a busy woodshop manager as the actual program itself, so hands-on customer support has always been a hallmark of this industry. 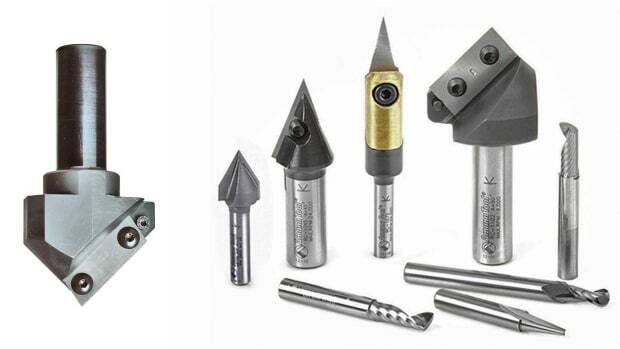 The KCD business model is quite familiar in the CNC field. Many of the companies started out with just one or two designers and their programs grew as personal computer technology advanced. Plus, CAM/CAD software that was designed specifically for the custom casework market has quite often been developed not by programmers, but by woodworkers who got a little distracted. The founder of ShopBot Tools is another example. Ted Hall, a professor of neuroscience at Duke University, liked to build plywood boats in his barn. He became frustrated by the amount of time it was taking him to cut panels for curved hulls when he was using portable power tools, so his solution was to build a big plotter with a cutter instead of a pen. 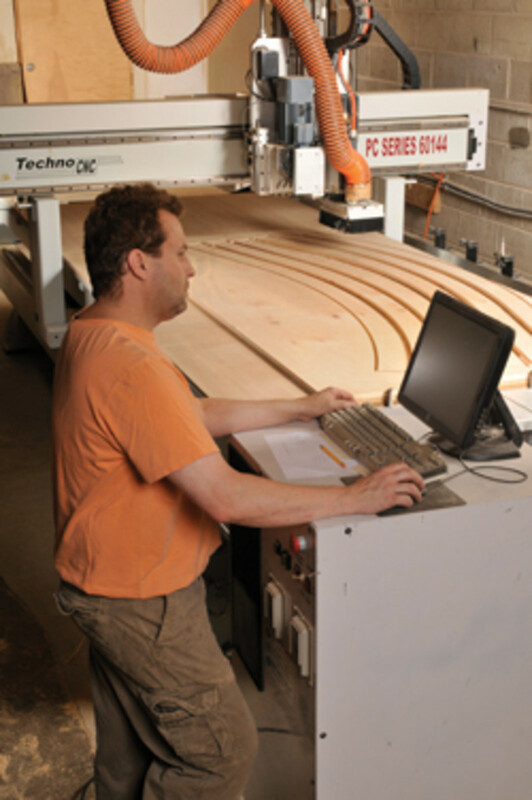 Nowadays, when a customer buys a new ShopBot, the company includes a basic CAD/CAM software package called PartWorks Suite that applies a new generation of Hall’s boat solution to any number of woodshop problems. 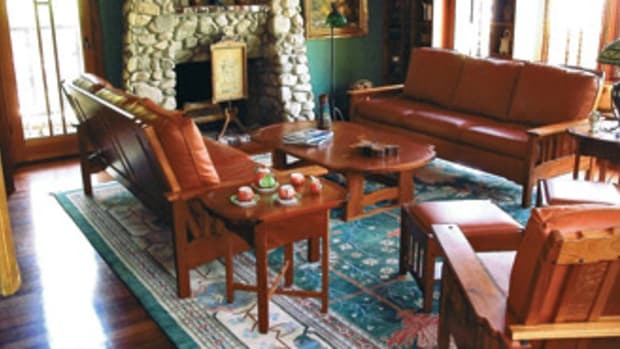 ArtCAM (www.artcam.com) is an industry leader in software for creative woodworkers. Its design options include programs for small businesses that need to get into routing and engraving and 3-D design and manufacturing suites. The company’s Insignia CAD/CAM software is used worldwide for both 2-D and 3-D design and production. Shops use it to make furniture and cabinets and it can also do marquetry, intarsia, engraving and sign making. Vero Software is one of the world’s largest CAD CAM software companies and the author of Cabinet Vision (www.cabinetvision.com). It offer an entry-level program called Solid Essential that is specifically designed for small shops just getting their toes wet in the CNC world. Vero also produces nine other packages that between them allow shops of every size to draft, estimate and do solid modeling. Users can produce realistic, photograph-like images called 3-D renderings that can really help a shop sell to a customer and the company’s Screen To Machine program sends designs straight to the router. Vero also produces Alphacam software. ECabinet Systems (www.ecabinetsystems.com) is actually a cooperative that unites tens of thousands of businesses worldwide, offering each of them the resources and collaborative advantages of a much larger organization. A significant benefit to membership is free access to the eCabinet Systems software package. This is a powerful cabinet and furniture design software tool that offers several levels of interaction. One can simply access and use free libraries of cabinet designs or have the host company Thermwood create custom libraries. 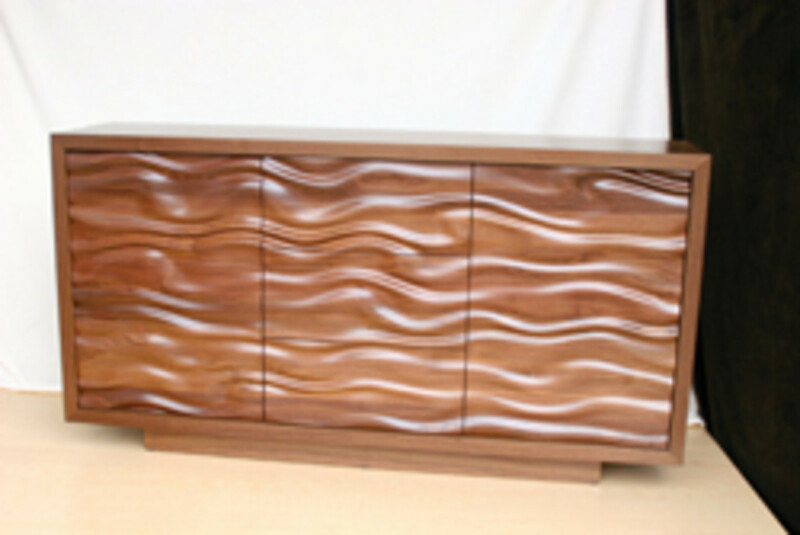 At this level there is no need to learn how to design or modify cabinets. One can generally learn from manuals and, in a few minutes, begin creating jobs and building product. At the next level, a designer can modify library cabinets, define unique product features and add price and material information. Most people go through some formal training at this level. The next progression, known as the power level, allows an operator to design libraries, configure complex assemblies and create incredibly realistic room images. Many power users visit a forum regularly and offer assistance to other users. 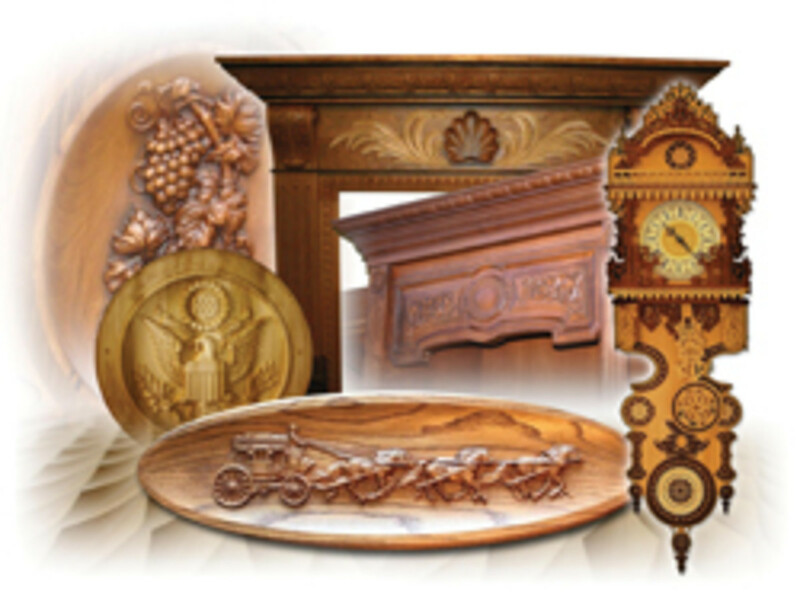 Cabinet Pro CNC (www.cabinetpro.com) started in 1982 as a small, part-time cabinet shop located in rural Oregon. The company offers a unified approach to CNC machining with a single software program that produces 3-D renderings, shop drawings, bids, cut-lists, panel optimization and the CNC code to run a CNC machine, either nested or point-to-point. That is, a shop can write G-code for CNC routers directly from their Cabinet Pro and Door Pro design programs. EasyCAD 3D (www.easycad.com) offers two separate packages at very reasonable price points. Its 3-D CNC Cabinet Design Software will export to any tool path software (the program that comes with the machine), work with frame or frameless cabinets, build blind dado and rabbet construction, drill holes for drawer slides, design for any CNC machine and includes an estimator, cut-list generator, and materials calculator. It also prints nesting labels. 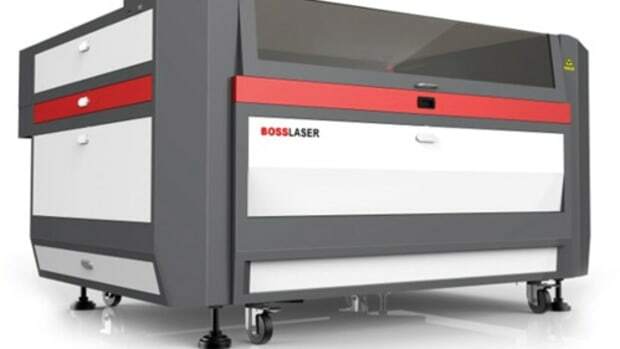 The companion Easycab 3-D Cabinet Design Software will produce nested DXF drawings for a CNC machine and includes an easy-to-use cabinet design package. 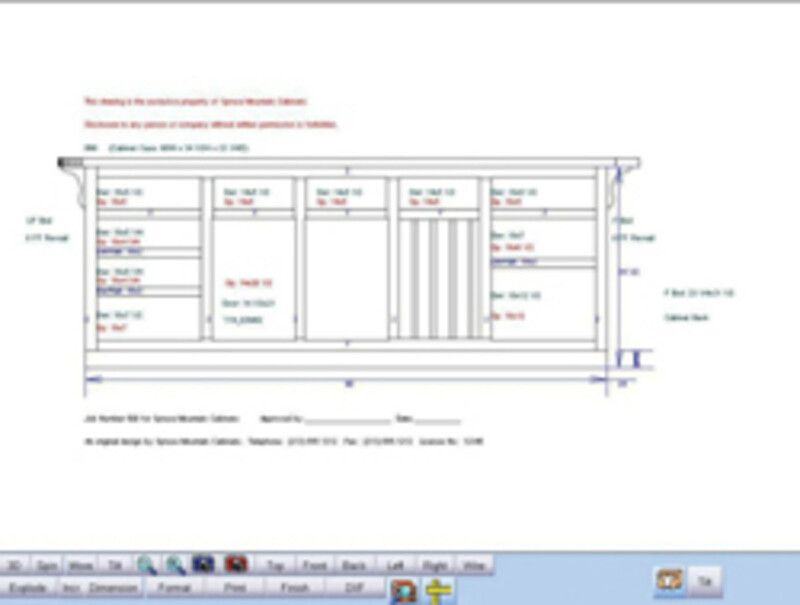 Mozaik Software (www.mozaiksoftware.com) produces Windows-based software for cabinets and casework and it’s targeted toward the small to mid-size custom shop. 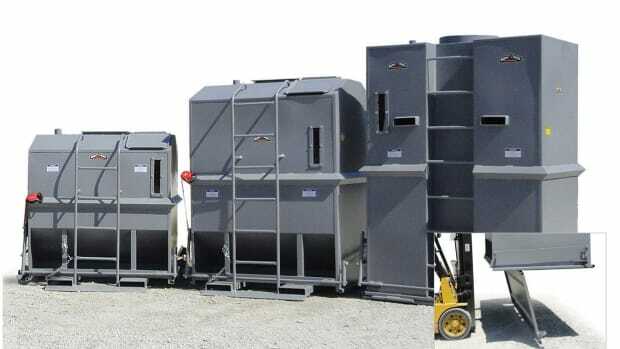 Its product line is capable of taking a project from job-site planning through design to manufacturing and eventually running the CNC routers. Its award-winning products include Mozaik Design for the showroom, Mozaik Manufacturing for the custom shop, Mozaik Optimization for nesting parts and Mozaik CNC Complete for the total end-to-end solution. The company is known for providing clean, simple solutions that help new CNC users get up and running quickly and its website is easy to use, too. Perhaps more suited to art furniture builders than straight cabinet shops, Rhinoceros Software’s slogan is “design, model, present, analyze, realize …” Extremely versatile and definitely thinking beyond the box, users of the company’s Rhino 5 program (www.rhino3d.com) often celebrate organic rather than geometric shapes. These are modeling tools for designers and, as such, they can take an ordinary project into an extraordinary realm, where art meets craft. EnRoute Software (www.enroutesoftware.com) is headquartered in Salt Lake City with offices in Belgium, Brazil, China and Japan. Well-represented in the woodworking and cabinetmaking fields, its easy-to-use, yet powerful, CAD/CAM solutions cover the gamut from design to production. EnRoute software can be used as a stand-alone CAD/CAM program or it can work with other packages like KCD or Planit (see Vero, above) and more. CabMaster Basic, Plus and Premium are three levels of software that are offered by the Australian software company QST Systems Pty Ltd. (www.cabmastersoftware.com). The basic package is a spreadsheet-view cabinet machining program, which has a pre-built library of ready-to-go cabinets. 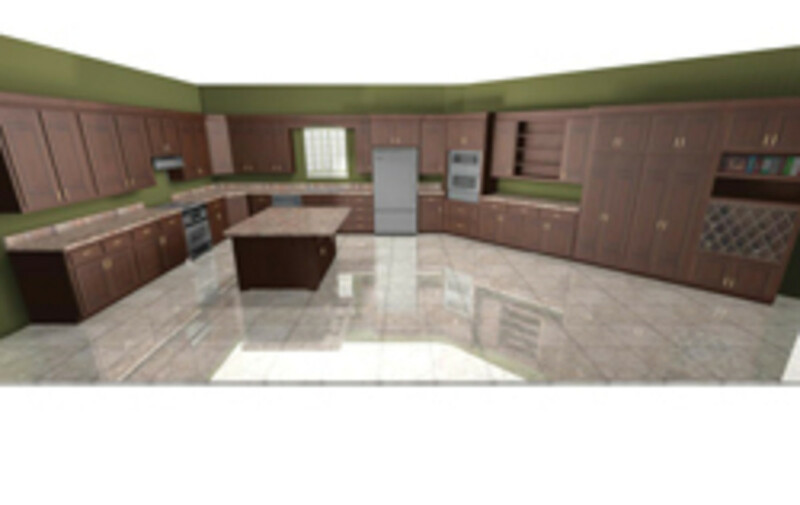 The plus version is a drag-and-drop environment for building a kitchen plan and then viewing it in elevation and two types of 3-D. And the premium version offers options such as a wide range of cabinets with detailed options that allow a designer to modify and save a list of units within certain parameters, with no limitations on cabinet duplication, and also easily change cabinet construction to suit custom needs. Established in 1986, CIM-TECH (www.cim-tech.com) has offices in Orlando, Fla. 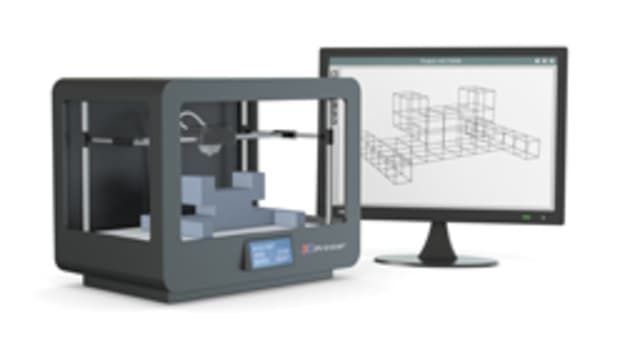 The company created Computer Integrated Manufacturing to bridge the gap between CAD and CAM. Its flagship product, Router-CIM, was designed as a manufacturing solution for high speed CNC equipment. Microvellum (www.microvellum.com) has been providing software solutions since 1991 and the company says on its website that it is “the global leader in AutoCAD-based manufacturing software for the woodworking industry.” Based in Central Point, Ore., with offices throughout North America, Latin America, Europe, China and Australia, the company provides AutoCAD-based cabinet design, manufacturing and shop management software. 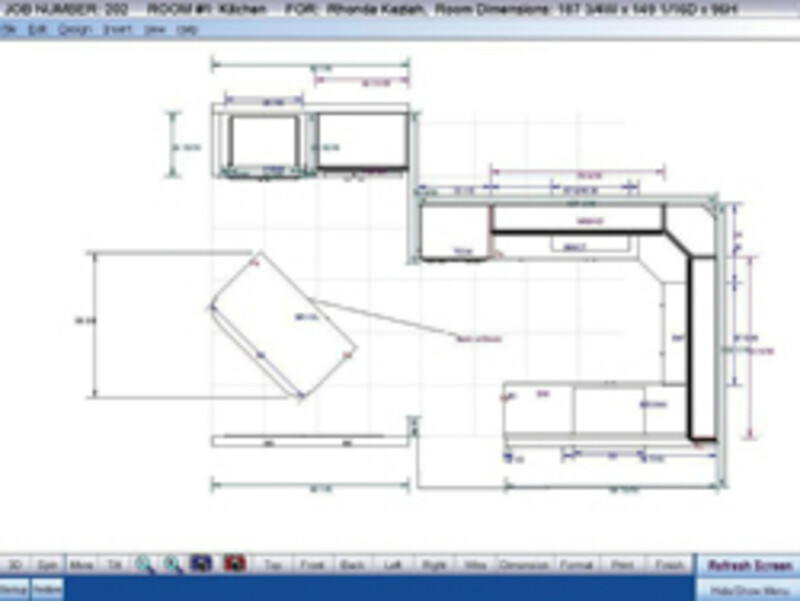 Some of its products include Blueprint Analyzer; Fluid Designer (which creates powerful 3-D presentations, project quotes, renderings and animated or live walkthroughs); and Toolbox 7 (which lets a woodworker efficiently design, engineer, maintain and produce cabinet projects from one single application). Shops running one of the Shark series of CNCs might be interested in a recent software release from developer Next Wave Automation (http://nextwaveautomation.com) that lets a cutter compensate when a board isn’t perfectly flat. With the software installed, the operator can manually drop the cutter onto a small device that reads the distance the tip must travel down to make contact with the board. By taking several readings at different locations, the tool can be programmed to cut a little less deeply in the high spots. It’s ideal for engraving and simple carving. We often buy a certain brand of car because that’s what our dad did — or perhaps it’s because Dad never did. Large purchasing decisions require a certain amount of faith. Tradition, history and recommendations from family and friends all help us gather enough courage to make the leap. But CAD/CAM software doesn’t quite work that way. Buying a specific program because some other shop has it might not be very wise. For starters, are they really as profitable as they should be? Maybe they make lots of poor decisions. Even if they’re successful, are they making exactly the same products you do? The software might fit their model perfectly, but unless you’re doing what they’re doing — and precisely what they’re doing — then the same program probably won’t address your differing needs. There are literally thousands of blogs, bulletin boards, discussion forums and even social media pages online where people discuss CAD/CAM software solutions. These are a great way to narrow the field, but the bottom line is that you really need to take a test drive. Get the salesperson to talk to your team — and don’t stop at just one software supplier. If the company doesn’t make the effort to keep you comfortable during the sales procedure, think how uncomfortable you’ll be when you’re trying to get some support after your money is safely in their bank account. Your hardware supplier (the company that sold you the CNC machine) might have some interesting takes on various software packages. But one of the best ways to compare apples to apples is to attend one of the big woodworking shows and spend a few days talking to various vendors in person. There’s nothing like a face-to-face meeting to bring out the nuances and subtleties, raise the right questions and make the right contacts. This is a big investment. It’s not just the cost of the program. It’s going to affect every aspect of your company. It’s a decision that deserves respect. Some software companies provide free support, where a shop can call or e-mail as much as needed until they learn the software. Others offer plans that can be purchased in terms of a month or a year or else a specific number of incidents (phone calls or e-mails). And many companies provide a hybrid of these: free support for so many days or incidents and after that they charge. There are many reasons to either rent or buy a software package and the direction that a shop takes in that decision will probably affect the support package it chooses, too. Most companies now offer the option to rent a program rather than buy it. This eliminates a big outlay of cash up front, so shops on a budget can afford to get on board. Investing in a complete software package all at once can be quite daunting and very expensive. And renting might offer the opportunity to get into one aspect (perhaps design) right away and add programming later. This can be an incisive decision if the woodshop is also thinking of upgrading its hardware (the physical CNC machinery). Rental programs can be month-to-month or quarterly or annual. Once the rental period expires, there is usually an auto-renewal that can be cancelled at any time (read the fine print). Another advantage of renting is that if the company comes out with an update or new version, it usually allows the renter to upgrade, often without any increase in fees. A month-to-month or even a quarterly rental will give the woodshop’s designers a chance to test drive the software and see how well it fits into the business culture and the production regimen. If it isn’t a good fit, at least you don’t own it. Some companies will allow a shop to suspend the rental agreement for a few months if there is no design work happening. For example, a shop might land a large hospital or school contract that comes with complete drawings and CAM/CAD files, so there’s no need to generate any in-house for a while. On the other hand, renting software is much like leasing a car: at the end of the lease, you don’t own anything. Depending on the length of the lease, it might be cheaper to borrow the purchase price at the bank and pay it off during the course of the lease. And on a short-term rental (one month or even one quarter), if the software company increases the rental fees substantially, the woodshop might just have to bite the bullet, especially if they’re in the middle of a large project and can’t afford to cancel. Buying the software makes a shop more of a partner with the software company, too. There is an expectation of loyalty that somehow doesn’t seem as real when one is just renting. 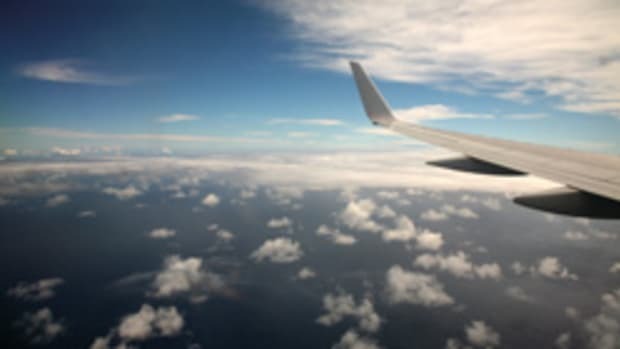 There might also be a tax advantage to paying up front — perhaps the purchase can be made at the end of one financial year or the beginning of another. Usually, we need more write-offs in good times.